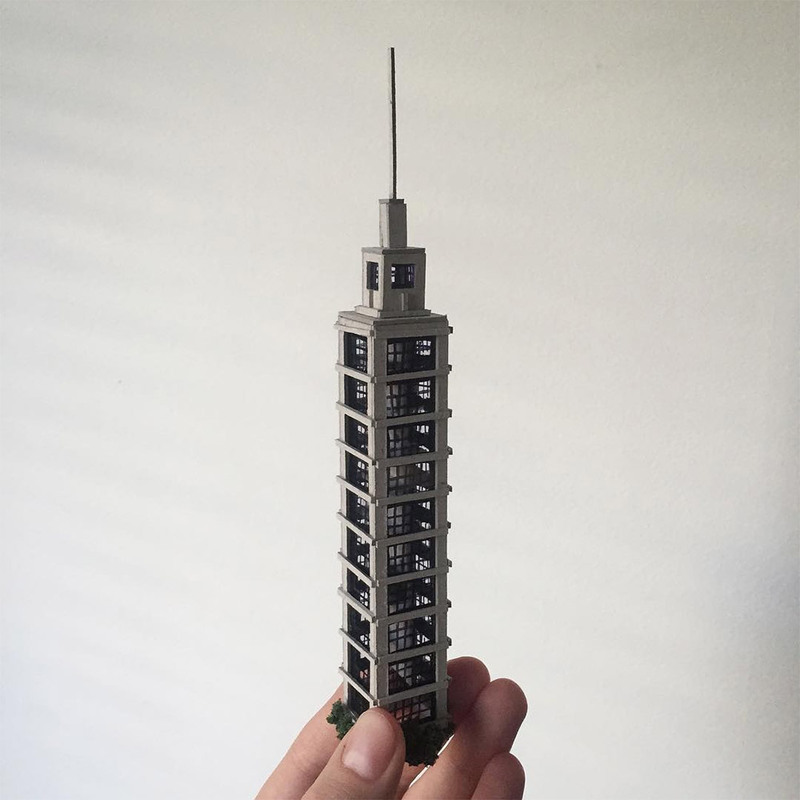 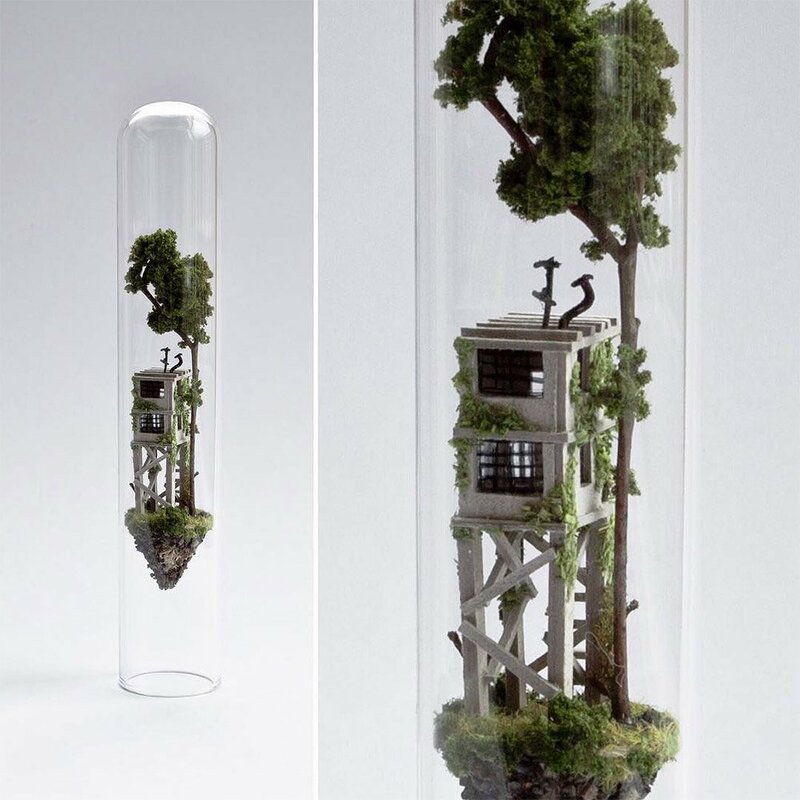 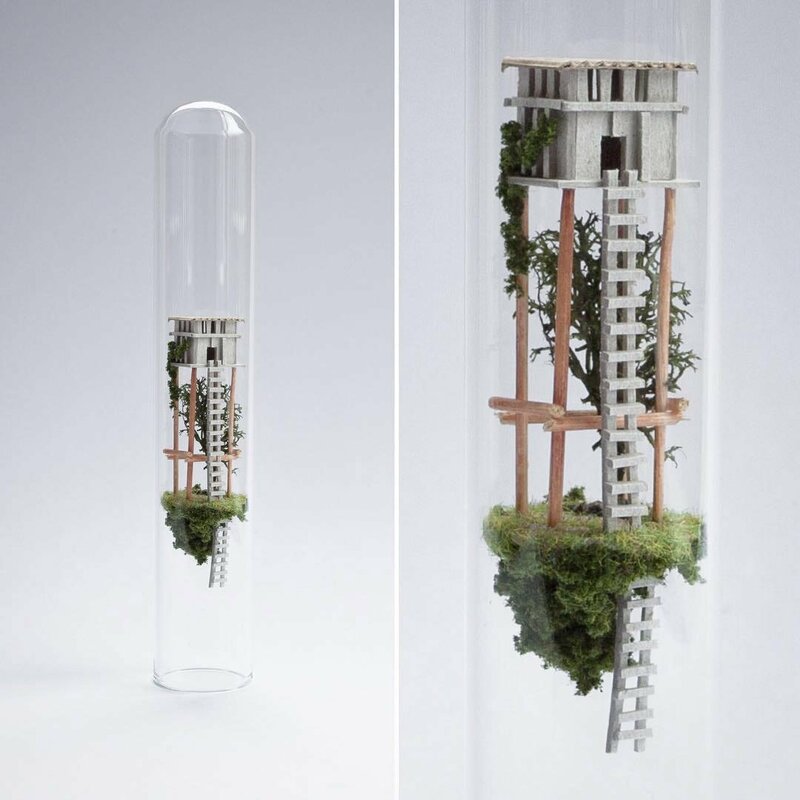 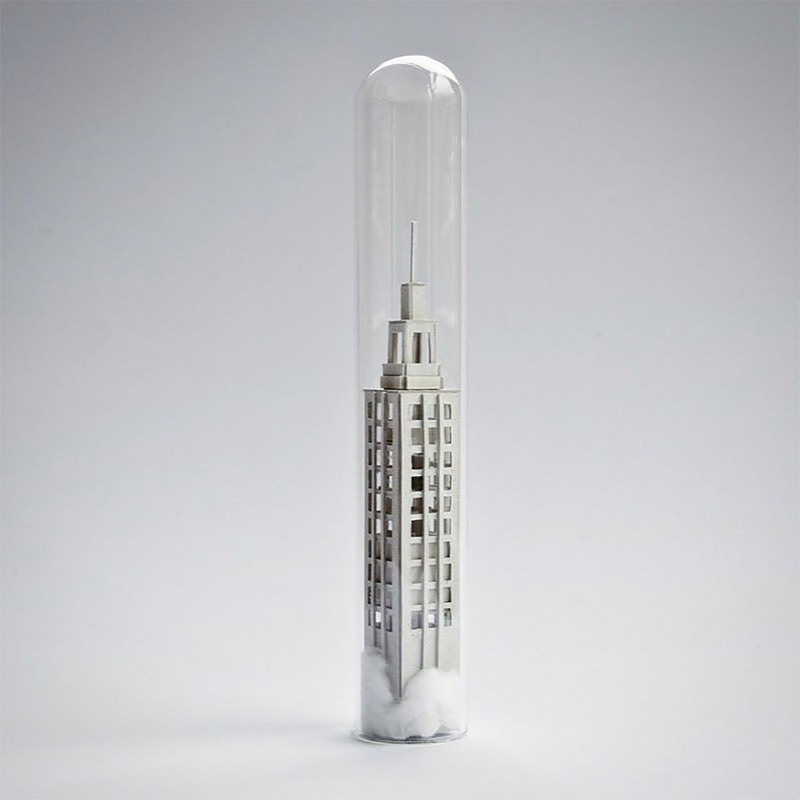 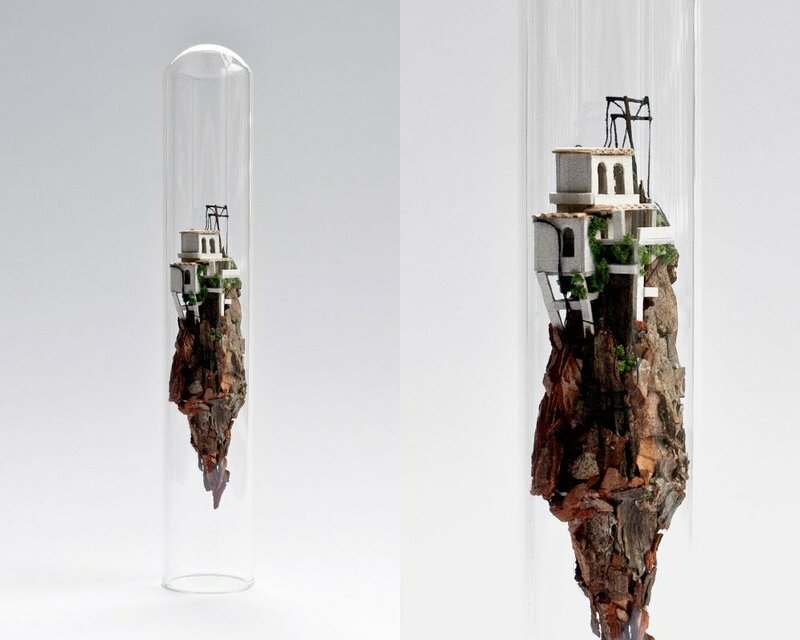 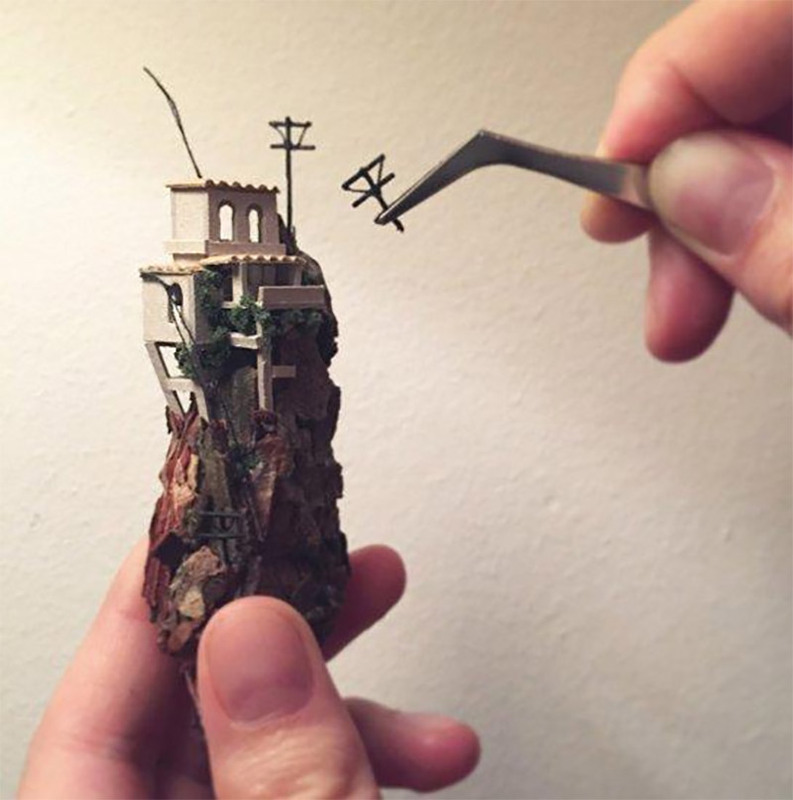 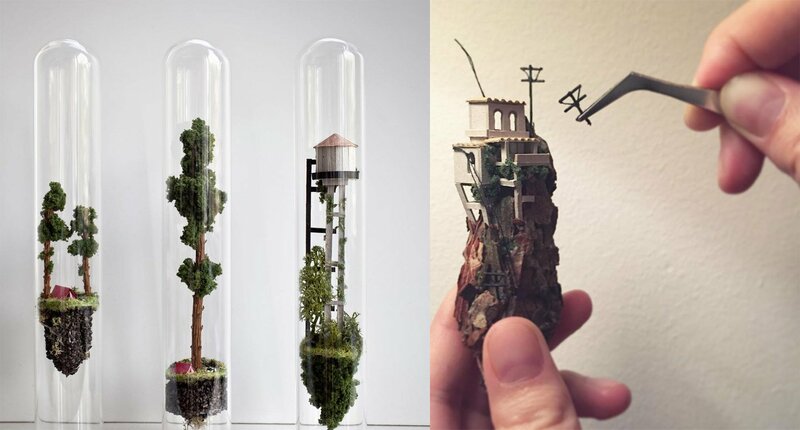 For her series Micro Matter, graphic designer and artist Rosa je Jong creates intricate models of buildings and trees using an X-Acto and tweezers, then sets them gingerly into test tubes and vials. 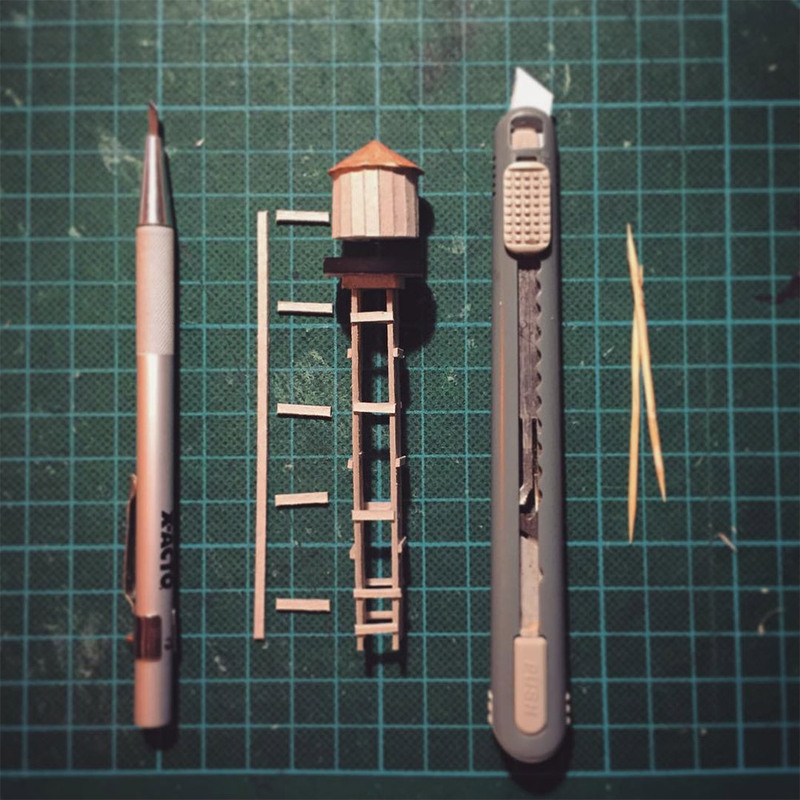 More on Instagram and Dribble. 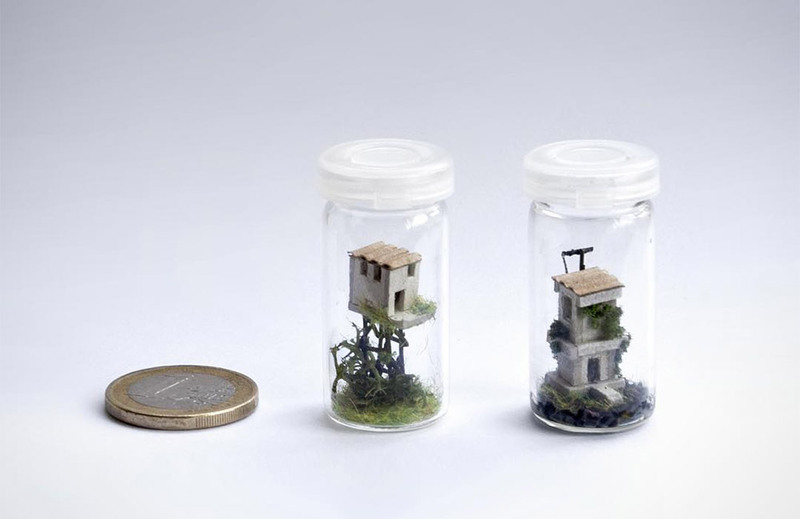 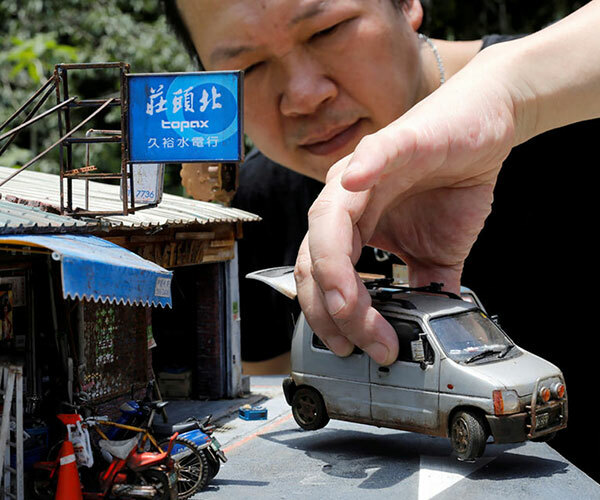 Sculptures start at €120 (~$130 USD).